Over a warm double boiler whisk the egg yolks, salt and Worchestershire sauce until creamy and then add the Guiness slowly. Continue to whisk until thick and creamy. Arrange the oysters on a plate and scatter a small amount of chopped chives and squeeze of lemon into each oyster. Serve with the warm Guinness Cream. 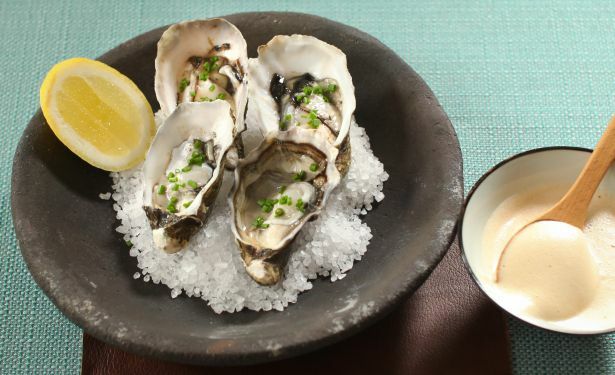 To eat, top a cold oyster with a little of the warm cream and eat immediately.